Yeah, that’s what’s been going on I guess; it’s spring, the weather has been spectacular for about 8 straight days and I’ve done sweet diddly squat with my beloved speech in about 5 days. Does that sound like the dedication of a future World Champ? Yeah, I know. PA-thetic. Saturday and Sunday were consumed in Easter, Monday was just getting back into school and our landscaping business and Tuesday had me completely emotionally WIPED OUT from my life coaching session with Micaela Pennell. I’d say we had a fairly major breakthrough. We went almost 2.5 hours- non speech related now. Life related. I am hopeful. It is the kind of stuff that can change a life. Lots of work yet to do. Today I had to take my girl Meaghan into the big smoke. It’s an all day affair as we have an hour’s drive to the ferry, then the ferry ride itself and then the actual drive into Vancouver. And back again. We were up at 6:00 am and got home at 9:30 tonight. Wiped again. If you’ve been following me for a while you might remember that Meg has been suffering with a medical condition since about Oct/Nov. Multiple doctor visits and various time consuming and not very fun treatments costing hundreds of dollars did nothing. We didn’t even have a diagnosis to work with. They referred us to a specialist so those of us who are Canadian know what THAT means. It means you get in maybe a year later, maybe six months later. Who knows? And the whole time you wonder if your paperwork has been lost and should you call them? And if you call will they resent your impatience, assume you think they are incompetent and get ticked at you and put you at the bottom of the list? Well Meg has still been suffering but has been “sucking it up” so I haven’t been hearing about it as much from her but it has never gone away. Yesterday as she was crying in frustration, I called the specialist’s office and to my horror, left a message where I started crying in frustration . The power of tears. They trump everything. I didn’t do it on purpose, it just happened, but the office called me back about 15 minutes later and set up an appoitment for THE NEXT DAY. Awesome. And it looks like we have a game plan for Meaghan, even more exciting. She was so happy to know that she wasn’t going nuts and that there really was something going on- something that we can do something about. Boy, is this the most VAGUE blog in history or WHAT???? So anyway, I did a little bit of Avery Drilling on the ferry tonight and also to my HORROR, realized that I was blanking. But I’m ok with this. I think it’s been good to have a break. I can see my delivery with a different perspective. Um, also so I can have a LIFE. Geez I still have to get my bloody TAXES done and I am DREADING it. I have a little 5 foot German lady for an accountant and she is the only person in the entire world who can make me JUMP and tell me how high. She TERRIFIES me but she’s a magician with our money so I am happy to bow to her every whim with sugar on top. Last year she told me to get things in to her earlier this year and I am NOT EVEN CLOSE. Bugger. I should write a speech about her one day. So I need to get it goin’ on again this weekend. 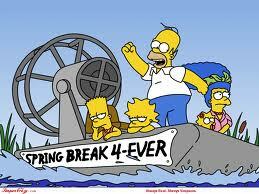 Spring break is so OVER. 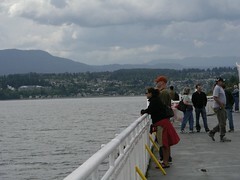 I took the noon ferry to Powell River today and the sun was glorious. The Earl’s Cove to Saltery Bay ferry run may well be the prettiest, most breathtaking 50 minute ride anywhere in the world and I sat outside for much of it and basked in the sun. But again, despite being surrounded on all sides by mountains, waterfalls, islands and inlets, there was no THERE there. I prayed; it felt forced. I was hoping to be inspired by the outrageous beauty surrounding me but it wasn’t touching my soul. Or maybe…..maybe my soul wasn’t LETTING itself be touched. Hmmmm. Never thought of that till just now. In any case, it may have been a very simple case of “you stayed up too late, idiot!” and I’ll put 90% of my money on that. Got off the ferry and pulled into the first provincial park for a half hour nap which was enough to sustain me. Did a little bit of shopping, and then I went to one of my favourite parks in the world, Willingdon Beach Park. Meaghan and I love this park for many reasons. It’s a goodly sized bay but not so big that the water’s freezing in the summer. The tide goes out forever so there’s a ton of sand for kids to play in. Crabs everywhere. Barnacles too- ouch! There is a playground with every contraption you can think of and a separate one that is only for climbing and balance. There is also a water park! And of course, the expanse of grass and sand to sit on and watch the sun set into the ocean directly in front of you. I went to Willingdon Beach Park for Avery Drills. Lol. I drilled the speech about 10 times and I’m pretty sure at least 50-60 people in Powell River think I’m certifiable. The rest KNOW I am. But seriously folks, the Avery Drills are like magic. I started to feel better. I got tripped up probably twice letting myself become distracted but after that, I didn’t care anymore and I was just having fun. And then the fish started to jump out of the water in the bay! I saw a least a half dozen fish jump a metre into the air and crash back into the ocean. Spectacular. The first time I saw it I said “Wow!! !” out loud and was able to keep riiiiiiiight on going with The Speech. Little presents from God. I headed to Toast to the Coast, a brand spanking newly chartered TM club in Powell River and saw some old Toastmasters friends. When I travel to another club, I feel like I’m going to see my TM cousins. It’s pretty damned awesome. I SO love going to other TM clubs to see how they do things. Just in that one meeting alone I got 3 new ideas which could benefit our club. They made a big deal of me being there which was kind of embarrassing seeing as how I am so recently and thoroughly humbled, lol. It was truly lovely though. So! I did the speech and I CONNECTED. I was nervous, but I enjoyed myself and I connected with the people there. They did not laugh as much as I would have liked!!!!!!!!!! BUT. They still said it was a very funny speech etc etc. I got some excellent ideas about improving the execution of the speech and some minor re-structuring ideas which could give the speech more to stand on. WELL WORTH THE TRIP. My favourite feedback was from one lady who said “I felt like you were talking just to me and that we were having a conversation.” That warmed my heart like you wouldn’t believe. What was REALLy cool was how well the ending went over. They really liked that it ended with a message. I was thinking of messing with it because I thought I needed some more funny there but they seemed to like the poignance of it. so, we’ll see. Their theme tonight was “professionalism” and they pulled it off with spades. I had so much fun! I think TM’s newest club in Powell River is going to be a smash hit. I think I’m feeling better. I have OUR club meeting tomorrow so a double dose should do the trick.